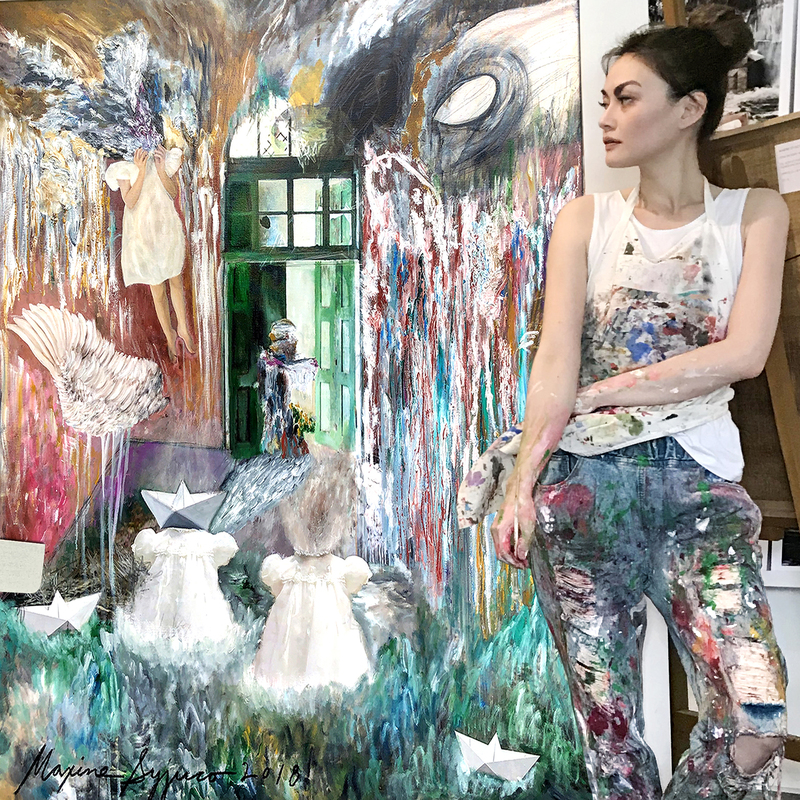 Described by literary icons as “the temptress of provocative art,” Maxine Syjuco (born1984 in Manila, Philippines) is an internationally-awarded visual artist and poet known for her bold, daring and experimental mixed-media creations. Taking literary devices from the written page and transforming them into tangible and meticulously-layered works of art, Syjuco’s distinctive artworks invite viewers to experience neo-surrealist visual narratives that allow one’s imagination to run wild and free. Her first book of poetry, A Secret Life, was praised by critics as “avant-garde and dangerous… An important selection in Philippine literature.” Her poems have since been translated into French and Polish, and have seen print in several international anthologies, including the Asia Literary Review, the Poet’s Guild Quarterly, the Best of Contemporary Asian Poetry, and the Rhino International Anthology. Her work as a vocalist, lyricist and performance-poet for the experimental art band, Jack of None, has earned her numerous awards and nominations at the prestigious Independent Music Awards in New York City, including “Best Eclectic EP of the Year”, and “Best Album Art, Photography and Design.” In the past 2 years, she has also been awarded the coveted Editors’ Choice Prize at the Magnum Photography Awards in London, United Kingdom. She has represented her country in the 2010-2012 Visayas Art Biennales, the 26th Asian International Art Exhibition in the Hangaram Museum of Korea, the Hong Kong International Art Fair, the Annual Tokiwa Museum of Japan Exhibition, the Magnum Photography Awards Exhibition in London, and the Art Takes Miami Exhibition in the U.S.A.
To date, her pieces can be found in the esteemed private collections of galleries and art afficionados, along with prominent institutions such as the Magnum Arts Collection in London, the Tokiwa Museum of Japan, and the Bangko Sentral ng Pilipinas (Central Bank of the Philippines).